In the past few years the humble radish has somewhat exploded in the food blogging world. Specifically for myself it was the images of the Watermelon radishes that renewed my interest in these root vegetables. Once you start exploring you will quickly find there are many different varieties to choose from. How Do I plant Radishes? 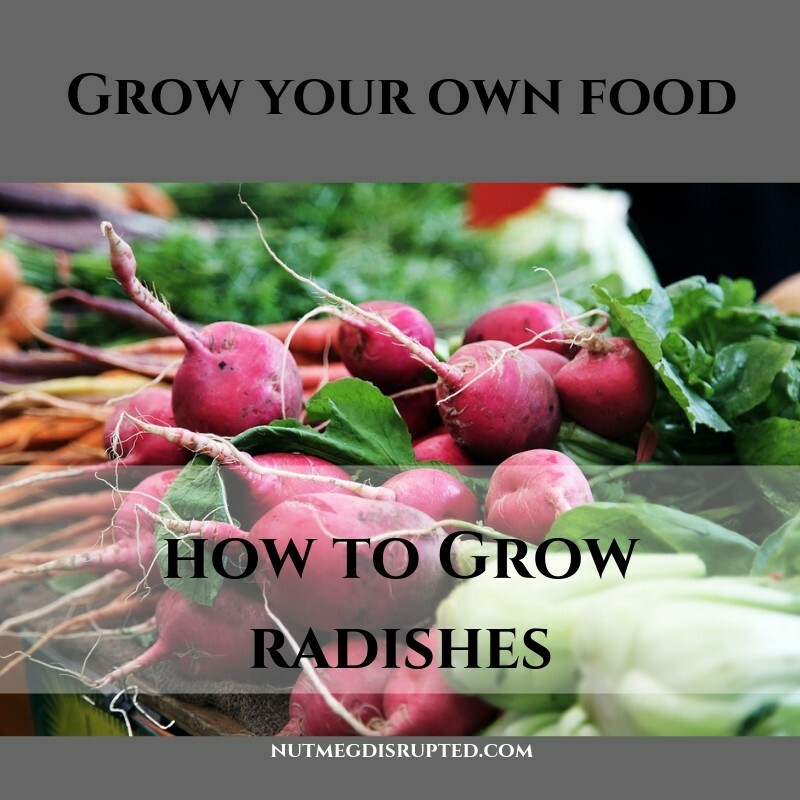 Radishes are one of the fastest growing vegetables that you can have in your garden, some being ready for harvest in as little as 3 weeks after sprouting. They prefer cooler weather so you can seed them as soon as the ground can be worked. They do enjoy sunshine so do not plant in a shady location. They are also a great option for container gardening and even window boxes so you do not have to have a dedicated garden space to enjoy radishes. 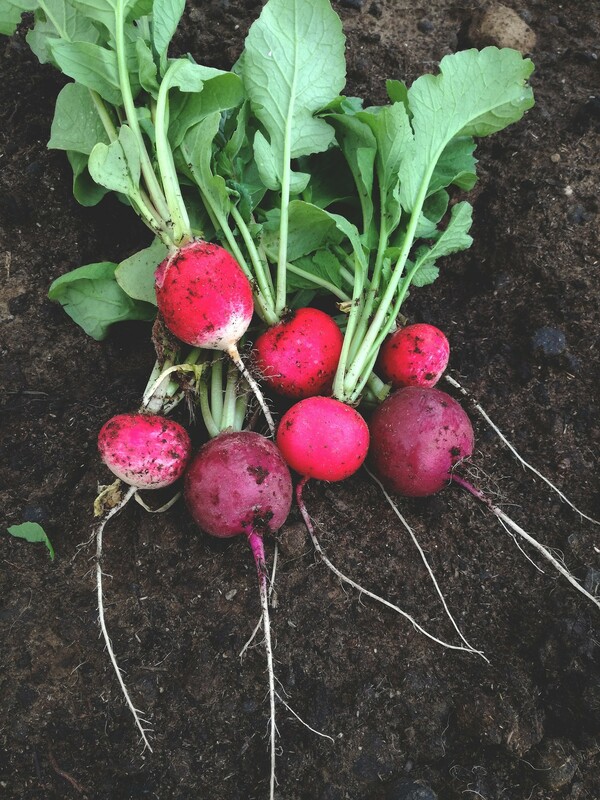 Radishes should be directly sown into the garden. A good idea is to plant smaller rows and do succession planting every one to two weeks depending on how many you want. They should be planted in rows, approximately a half inch deep and two inches apart. If you are planting larger radishes such as daikons, plant the seeds to a depth of 1 inch to an inch and a half and three inches apart. Daikon radishes take anywhere from 60 – 75 days to finish their growing season. As with any addition to the garden they prefer soil that has been worked and have had some amendments added, such as compost or peat moss. How Do I Care of my Radishes? Radishes do best when the soil is moist, try and not allow the soil in the radish rows to dry out. This is where the practice of mulching is beneficial in retaining moisture in warm weather. Dry soil is another thing that will make your radishes become woody so be sure to water adequately. They do not require any fertilizer, though adding compost to their growing spot is a good idea before planting. If they are fertilized while growing they will put all their energy into growing leaves and very little into the root. When Should I Harvest Radishes? Spring radishes grow fast and should be picked as soon as they are an inch wide, if left in the ground too long they will become woody. That is why succession planting is perfect as you will have a continual supply of fresh radishes. To enjoy radishes at their prime be sure to harvest as soon as they are to size. Wash, dry and store in the fridge. What about Radish Leaves and Seed Pods? An interesting fact about radishes is their leaves are also edible when young. They can be enjoyed fresh in a salad or lightly sautéed. Or you can take it one step further and allow some of your radishes go to seed. 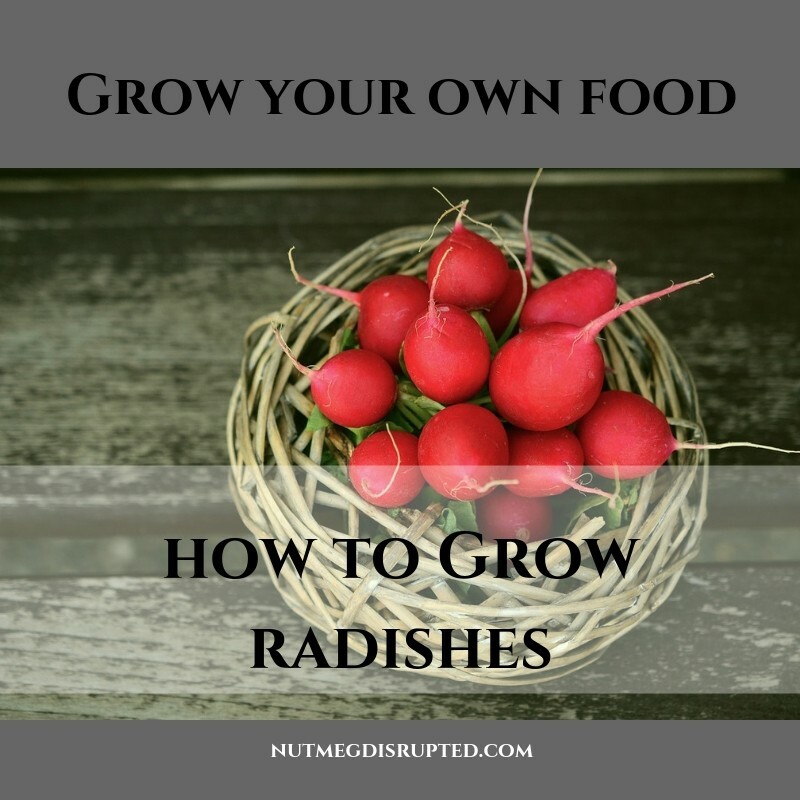 Radishes grow into small bushes and develop seed pods. Harvest the pods when they are green. They can be enjoyed in salads, they have a nice crunch factor and have a delicate radish flavour. You can leave the seed pods remain on the plants and allow to dry to use as seeds for next years season. Is Horseradish Different from Regular Radishes? Horseradish is another type of radish but grows very differently then traditional radishes. It is a perennial plant that is grown from root cuttings or crowns. Because of the aggressive growth nature of Horseradish you want to pick a dedicated spot in your yard or garden for the patch. They do well in any weather conditions so you have many options for placing them in your yard. To plant horseradish dig the bed well. Dig a hole deep and wide enough to fit the entire root section. Place plants a foot and a half apart to assure they have enough room to spread out. It is advised the you should place the crowns and roots at a 45 degree angle in the ground. It is a good idea to add a bit of compost to the growing area when you first work the soil. They do not like to be over watered, use a light hand when watering but be sure to not allow the patch to dry out excessively in the hotter months. They do not require regular fertilizing though a top dressing of compost every spring is adequate. To harvest horseradish it is best to wait until late fall. It develops flavour from a hit of cold weather so it is best to harvest once there has been at least one frost. It takes horseradish one year to reach maturity so do not harvest in the first year. You will need a shovel to dig up your horseradish, be sure dig away from the plant as to not harm the roots. The roots should be anywhere from 6 to 12 inches long. Wash and dry the roots and store them in the fridge.